Discussion in 'General Linux' started by Mr Mushroom, Feb 2, 2019.
safely in case it fails and I can restore it? What kind of expansion ports does the computer have? Maybe a mini or Micro USB, or USB C? There are a few small laptops that have these and many owners don't realize they are USB. Also, what make is the computer and the model number? The only way I know you can install any flavor of Linux is by using a thumb drive or a DVD. Get a 8 gig thumb drive and you should be able to install most versions. 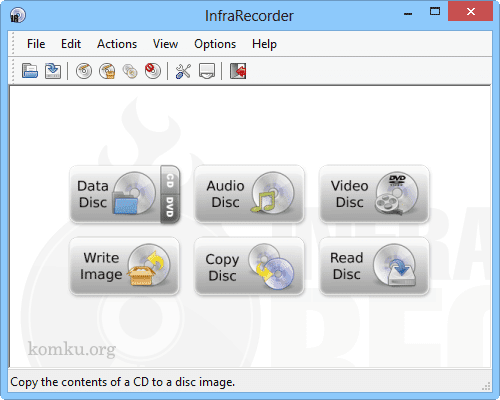 Create a bootable DVD with infrarecorder. Make certain to write image to DVD and not copy. Has to be a DVD, download file is too large for a CD. As I asked, elsewhere, is it Windows 7, Windows 8, or Windows 10 that you have? usb drive is the way to go as a noobie it was super easy. Once you get to the BIOS or UEFI, look for a menu choice labeled "Boot," "Boot Options," or "Boot Order." If you don't see anything with the word "boot" in it, check other menu options such as "Advanced Options," "Advanced BIOS Features," or "Other Options." Once you find it, set the boot order so that instead of booting from the hard drive first, you boot from either the CD/DVD drive or from a USB drive.